This new treatise covers the massive increase in barley knowledge over the past two decades! Barley: Chemistry and Technology, Second Edition is an important tool for any food scientist, or crop scientist who needs to understand the development, structure, composition, or end use properties of the barley grain for cultivation, trade, and utilization. 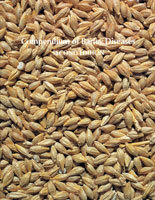 Editors Peter R. Shewry and Steven E. Ullrich bring together a wide range of international authorities on barley to create this truly unique, encyclopedic reference work that covers the massive increase in barley knowledge over the past 20 years, when the first edition of this book was published. 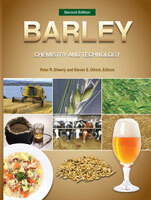 Barley: Chemistry and Technology, Second Edition offers the latest coverage of barley’s applications in milling, breeding, and production for food, feed, malting, brewing, distilling, and biofuels. It delivers a complete update of the latest knowledge of barley’s many components, from the genetic and molecular level to its many constituents, such as proteins, carbohydrates, arabinoxylans, minerals, lipids, terpenoids, phenolics, and vitamins. 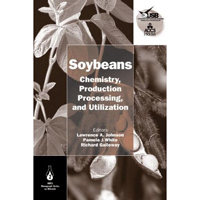 This important book also includes chapters on barley’s plant and grain development from both the physiological and genetic perspectives, making it an important resource not only for cereal and food scientists, but crop scientists involved in breeding, agronomy, and related plant sciences. Updated, comprehensive knowledge on barley’s components, including proteins, carbohydrates, arabinoxylans, and bioactive effects. Individuals and institutions who have collected other books in the popular AACCI Monograph series will find Barley: Chemistry and Technology, Second Edition a worthy addition. Those new to the series will get a comprehensive introduction to the most trusted series of books on grains in existence.